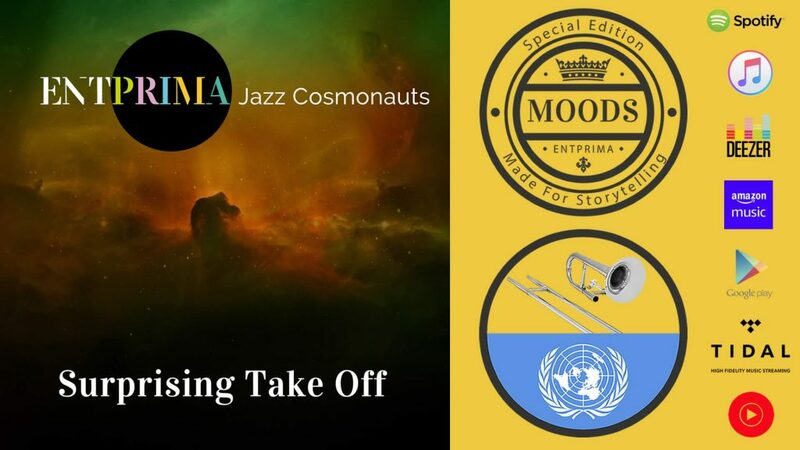 “Surprising Take Off” is our first release in genre jazz. It is a very new approach to contemporary jazz music. The music is not based on melody, chords and rhythm, but on storytelling. Even if it sounds like a traditional composed tune, the music is totally improvised by great jazz musicians. How dit it work? The musicians were told a story, where a rescue space ship left earth after a nuclear strike – a very surprising incident for most of the passengers. The minds of most people on board should be described by the music. The music itself was previously determined by some parameters, like tempo, instrumentation and emotion. Like the felt mindset the music is somehow shaky and full of doubt, driven by an angry bass line.